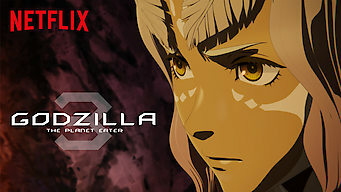 How to watch GODZILLA The Planet Eater (2018) on Netflix Netherlands! Yes, GODZILLA The Planet Eater is now available on Dutch Netflix. It arrived for online streaming on January 9, 2019. We'll keep checking Netflix Netherlands for GODZILLA The Planet Eater, and this page will be updated with any changes. With the earth alliance weakened, Haruo weighs siding with the Exif, whose death cult is summoning a monster that can destroy the world. He wants to defeat Godzilla, but calling upon the ultimate destroyer could end not only humanity, but the planet itself.